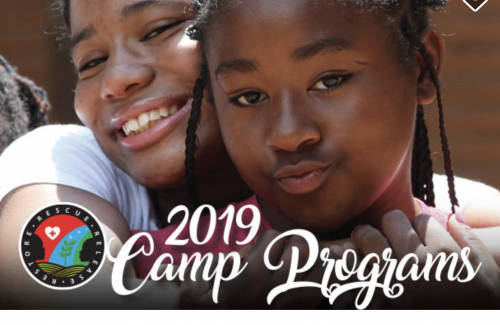 Establish a year-round camp facility under Rescue, Release & Restore’s leadership that help youth and youth-based organizations replicate and sustain the RRR philosophy. By rescuing gifts, releasing potential and restoring the promise of our youth within their communities, RRR’s mission transforms the self worth and empowers at risk youth through leadership training, artistic expression and mentorship. Donations made are tax exempt. 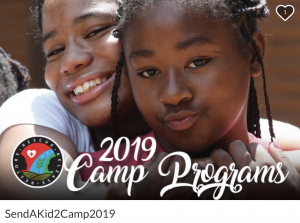 Click the image above to donate to our Send A Kid 2 Camp 2019 Campaign! Rescue, Release, and Restore is a 501(c)3 organization. Through the generosity of donors we are able to make an impact in the lives of youth and in the world. Rescue, Release, and Restore, Inc.
Help RRR provide a SIMBA, SIMSA, or MYLA camping experience of a lifetime for youth, ages 8-17, who are interested in being challenged to their full potential in life. Please consider a custom amount donation today!